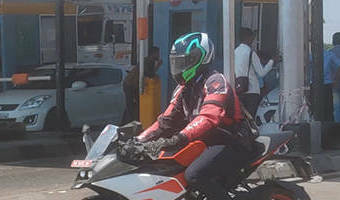 KTM RC 200, KTM's 200cc supersport motorcycle rivalling the Bajaj RS200 is not listed on KTM India's official website. This makes the KTM RC 390 the only fully-faired offering from the Austrian manufacturer. Could this mean that KTM has plans to pull the plug on the RC 200 and make way for the smallest RC in the family, the RC 125? 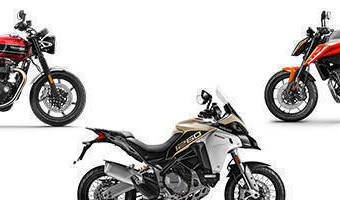 The dealerships, however, continue to sell the motorcycle for the price of Rs 1.88 lakh ex-showroom Mumbai, but we believe, this could be until the stocks last. A screen grab from KTM India's official website The KTM RC 200 was updated with a single channel ABS (anti-lock braking system) in January which called for a premium of Rs 9,000 over the standard model. Powering the motorcycle is a 199cc liquid-cooled single cylinder engine that produces 25PS of power Introducing the new powerful 1.5L engines. and 19.2Nm of torque. The power Introducing the new powerful 1.5L engines. is delivered to the wheels via a six-speed gearbox. 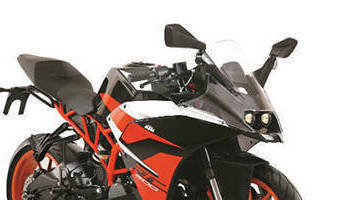 The RC 200 gets WP suspensions … [Read more...] about Has the KTM RC 200 supersport been silently discontinued in India? Breaking: Has the KTM RC200 supersport been silently discontinued in India? 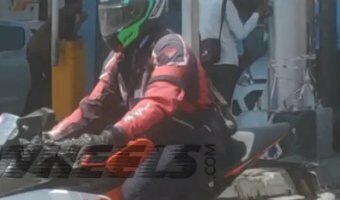 KTM RC200, KTM's 200cc supersport motorcycle rivalling the Bajaj RS200 is not listed on the KTM India's official website. This makes the KTM RC390 the only fully faired offering from the Austrian manufacturer. Could this mean that the KTM has plans to pull the plug on the RC200 and make way for the youngest RC in the family RC125? The dealerships, however, continue to sell the motorcycle for the price of Rs 1.88 lakh ex-showroom Mumbai but we believe, this could be until the stocks last. A screen grab from KTM India's official website The KTM RC200 was updated with a single channel ABS (anti-lock braking system) in January which called for a premium of Rs 9,000 over the standard model. Powering the motorcycle is a 199cc liquid-cooled single cylinder engine that produces 25PS of power Introducing the new powerful 1.5L engines. and 19.2 Nm of torque. The power Introducing the new powerful 1.5L engines. is delivered to the wheels via a six-speed gearbox. The RC200 gets WP suspensions … [Read more...] about Breaking: Has the KTM RC200 supersport been silently discontinued in India?